I haven’t been in a thrift store in a couple months & it was great to go back. The thrill of the find is always exciting. This months upcycle challenge had to be either metal, plastic or glass. I found this cute metal bucket and created a gardening gift basket for my mom. My mom loves gardening and can also use the basket to put a plant in to display in her garden. 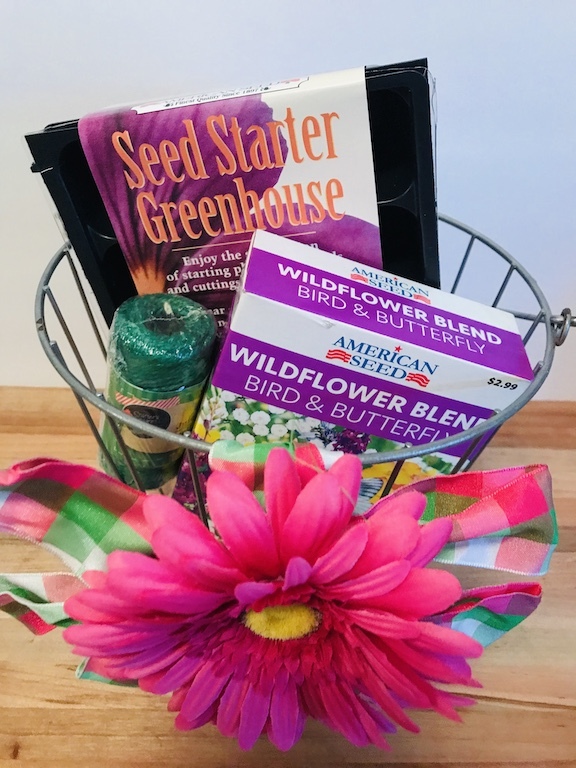 A gardening gift basket is perfect for birthdays or Mother’s Day or Father’s Day. 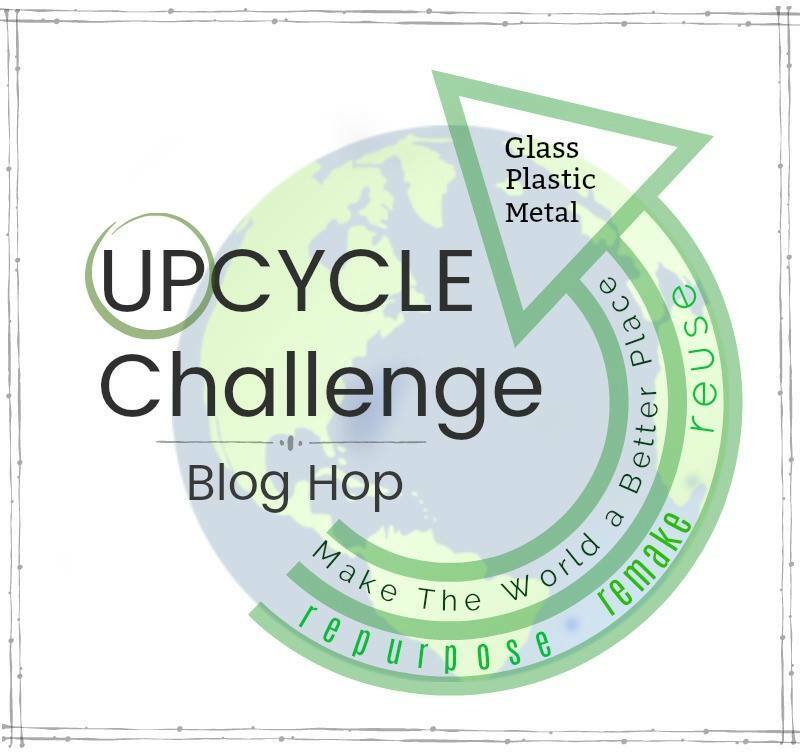 This is our first blog hop of 2019 and it’s all about upcycle with metal, glass, or plastic. I’m excited to work with this great group of bloggers again this year to bring you monthly hop challenges and parties. In a couple weeks, we will be hosting a Valentine’s Day Party so stay tuned. I can’t wait to see the projects for this challenge. 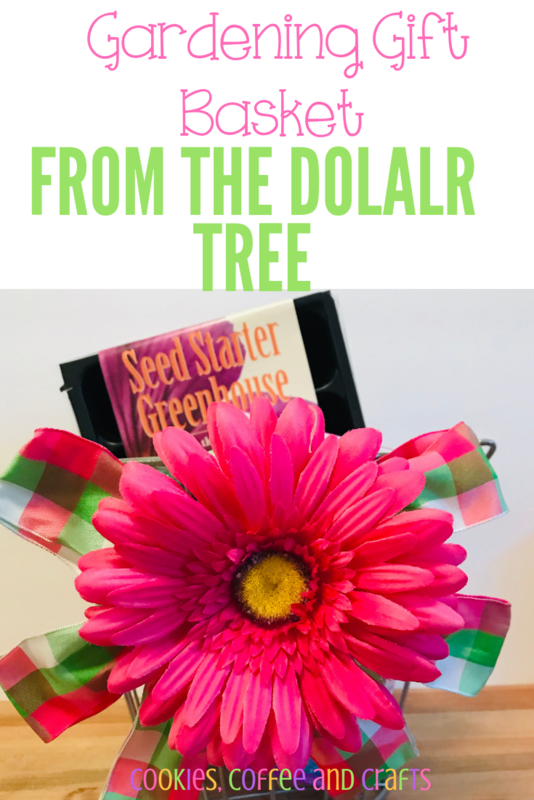 The Dollar Tree already had seeds and some garden supplies on display. Now I know why I can’t find anything in the spring because it’s in the stores now. It’s always hard to find garden stuff for my mom when she has a New Years Day birthday. I usually stock up on birthday presents during the garden season, but I didn’t this year. 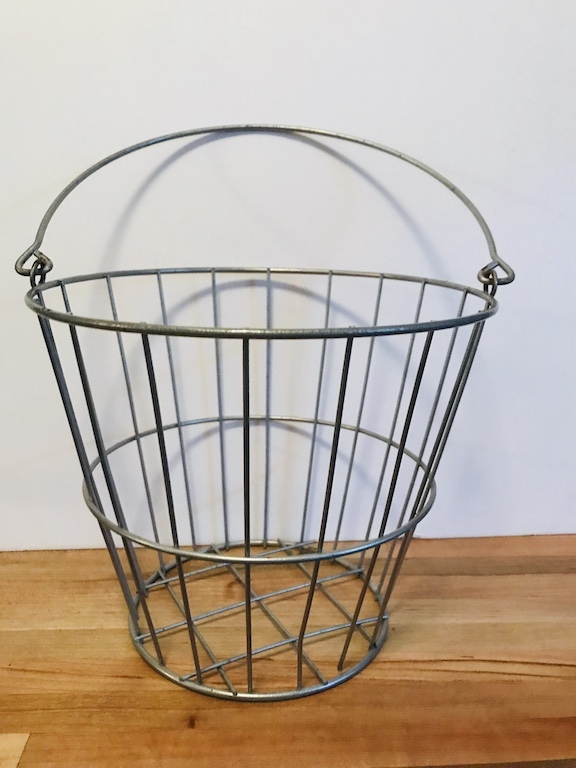 The thrift store is always a good place to go if you need a basket or bucket for a gift, it should be your first stop if you are making a basket. 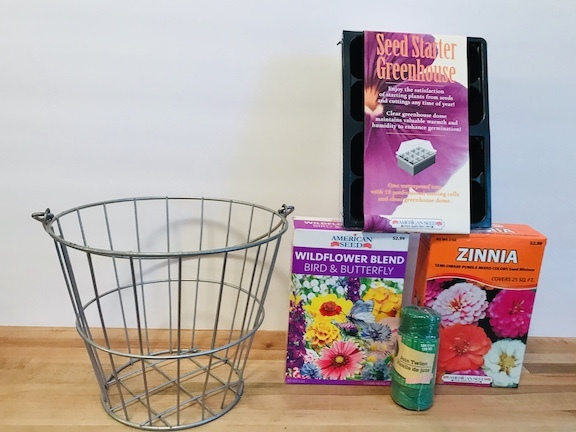 The metal bucket is not that big so I picked out two boxes of seeds, twine and a seed starter kit. My mom always says how bored she gets in winter and can’t wait to get outside. This is perfect because she can start her seeds early and get her in gardening groove. To add cuteness to the bucket, I added a gerber daisy and some pretty ribbon. This used to be on a wreath that I took apart, but it’s perfect for a gardening basket! This bucket has been given a second chance to be a gardening gift basket and this summer it will look beautiful in the garden as a plant holder. 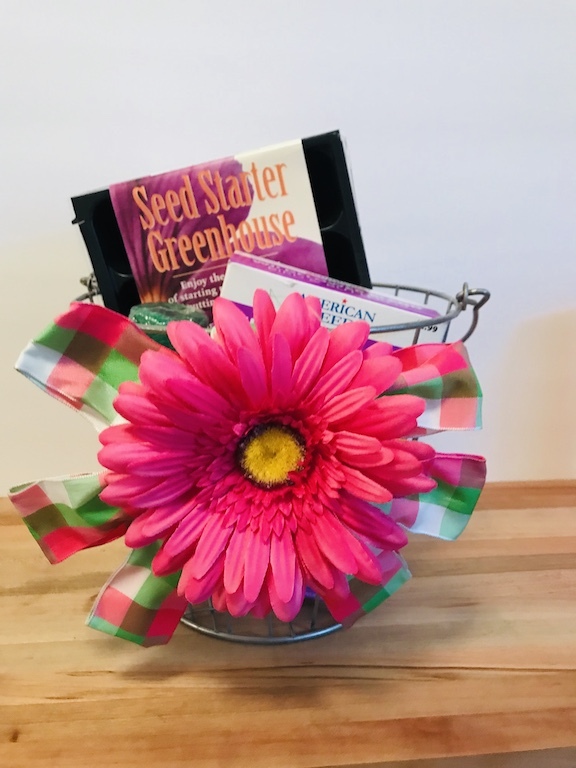 Do you know someone who would love a gardening gift basket?